This Kelford Cams catalogue selection to suit Rover 3.5L V8 engines, has been developed over many years of grinding these camshafts for the New Zealand market. Whether your build is a daily driver or a full competition engine, we can supply the correct camshaft profile for your application. 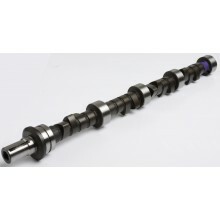 Custom camshafts are also available; talk to us about the right specifications for your application. 202/202 Degrees duration @ 0.050" cam lift, .413"/.413" lift. 206/206 Degrees duration @ 0.050" cam lift, .432"/.432" lift. 212/212 Degrees duration @ 0.050" cam lift, .445"/.445" lift. 224/224 Degrees duration @ 0.050" cam lift, .484"/.484" lift. Custom camshaft for Rover 3.5L V8 engines. 242/248 Degrees duration @ 0.050" cam lift, .526"/.504" lift. 248/252 Degrees duration @ 0.050" cam lift, .522"/.501" lift. Custom camshaft for Rover 3.5L V8 engines using solid lifters.